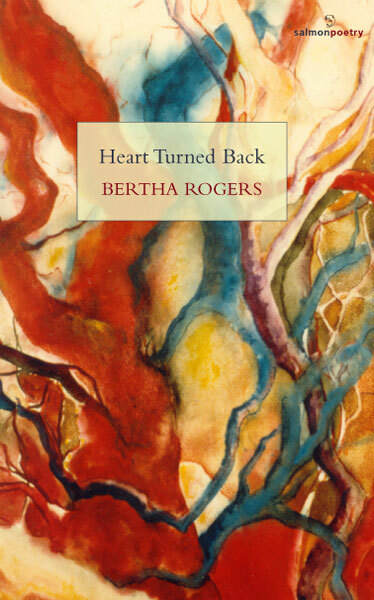 Rich in knowledge of forest and farmland, dreamscapes bucolic and nightmarish, Bertha Rogers in her latest book of poems summons up vivid worlds and recollections with clarity and haunting music. She has a painter's eye for composition and colour, and a naturalist's keen sense of observation. I am grateful for 'rampant goldenrod, the spider's yellow' for the 'evening primrose/ prodigious in its white-veined/ leaves', and the poet's 'broken pages of autumn.' This is a book that delights and dazzles with its truths, and proves Rogers a poet to be reckoned with. Bertha Rogers's poems appear in journals and anthologies and in the collections Even the Hemlock: Poems, Illuminations, and Reliquaries (poetry and visual art, Six Swans Artists Editions, NY, 2005); The Fourth Beast (chapbook, Snark Publishing, IL, 2004); A House of Corners (Three Conditions Press, Baltimore, MD, 2000); and Sleeper, You Wake (Mellen Press, NY, 1991). Her translation of Beowulf, the Anglo-Saxon epic poem, was published in 2000 (Birch Brook Press, NY); and her translation of the Anglo-Saxon riddle-poems from the Exeter Book, Uncommon Creatures, Singing Things, will be published in 2010. In 2006, Rogers received an A. E. Ventures Foundation Grant for excellence in writing and visual arts and for contributions to the field. In 2003 she received a Ludwig Vogelstein grant. In 1992, she founded Bright Hill Press, Inc. with her husband, Ernest M. Fishman. Her website is bertharogers.com. not far away, along the rampant creek. and so found a home near rush and stone. very stones. Or the stones were, by water. I heard my father's voice. Came back home. Sometimes we define modernity at the expense of former times. If we say something sounds Edwardian or Georgian there is a pejorative connotation. That’s too bad. A contemporary poem that recalls Andrew Marvell or George Chapman or Gerard Manley Hopkins should not have to suffer taint for it. There is a difference between slavishness and redolence. The place I escaped—chaos, noise, debris. We remember Emily Dickinson’s dashes, that feeling of walking the plank and being rescued by dolphins. And we remember Edwardian scruple in this construct. But Rogers is deploying a very modern awareness of quantum physics, of Einsteinian time and psychology since Jung. She sees time bend in this unrhymed Elizabethan sonnet. As she takes liberties with this particular sonnet form, so she borrows from the tonalities and demeanors of certain periods. Allen Ginsberg was doing something similar in Howl, which at times has the shield-banging thrust of a Norse saga. This touchstone poem speaks of stones and water ensorcelling each other, a phenomenon familiar to anyone who, like Rogers, lives in one of the world’s most hydrologically labyrinthine regions, the Catskill Mountains. More than in Rogers’s previous work these poems instill an expectation of faerie stones, time warps and sudden cracks between the worlds. Specificity and placeness play major roles in Heart Turned Back. The poet as naturalist turns her observations into meditations. Her surroundings have not washed over her. She wears them like beads of water, pollen. In some ways she does what bees do, she pollinates things and so becomes part of a propagating cycle. It could be said this is what poets do. Having said it, I would want it understood it‘s Bertha Rogers’s poems that prompt me. It’s not surprising to find a varied, refined and expert poetics here. Rogers has translated Beowulf, studied the Norse sagas and The Poetic and Prose Eddas. She knows the history of our language and, like Seamus Heaney, imbues it with new vitality and significance. In an earlier essay about Rogers’ translation of Beowulf I said I found it more exhilarating than the impeccable Heaney translation. Rogers bicycled around Manhattan listening to the Caedmon recording of Beowulf in old English, and something of the precariousness of the act comes over in the translation. splitting my face in two. An unexpectedly horrific poem. A one-act play with a gut-punch at the end. This haberdasher, this feisty, well-liked, trusted man bombed Hiroshima. God help us all for what we do. I find this poem, with its clinical detail, both savage and somehow resurrective. the poem begins. I don’t think it was Rogers’s intent, but I recall the risen Christ saying do not touch me. Here is the power of the best poetry to rummage our collective unconscious so that we participate in the singing of the poem. The good poem is not finished, because we carry on where the poet leaves off. This girl died an awful death. We die it with her, and walk with her at night. We imagine or see ghosts because they are us. Rogers posits sonnets as steles in unfamiliar terrain. They operate to reorient us as our compass swings among her various magnetic verse styles and meditative riffs. This use of sonnets is a kind of placement, because just as we place lines on a page so we place poems in a manuscript—a technical term extended to embrace the creation of a collection. Placement in these poems is dictated by their formality. It was sometimes said of the Abstract Expressionist painters that they painted that way because they couldn’t draw. There was some little truth in that indictment. Nobody is ever going to say of Rogers that she writes that way because she isn’t a prosodist. She is a superb prosodist. When I noticed her sonnets’ positioning I thought of that marvelous stele in which the woman pharaoh Hatshepsut is said to have referred to the Exodus as a minor labor dispute—bringing our hifalutin exegesis crashing down to earth. True or not, it’s too delicious not to contemplate. Darkness stirred there, like a snake, through green. This is characteristic of Rogers’ notational style—bodies on the bed or Sultry July; month ajar. Sometimes her lines read like a reporter’s notes, giving them a modernism that is belied by the formality of her versification. But at the same time she employs punctuation as if it were a satchel of rare tools rather than an avoidable nuisance. Look at that last line of the opening verse—the commas, far from impeding the line, tell you exactly how it should be breathed. Rogers doesn’t throw anything out in poetics that can be used to mend or rejuvenate. I admire the poet’s willingness to use Latinate constructs, such as materialize and recognize, contrapuntally with the simple phrase, The sweets you stole. Modernism does not require us to throw out what the Normans brought to England linguistically, it merely requires us to be spare. Rogers knows a lot about the history of our language, and here it shows. Again and again reading Heart Turned Back I thought of the now considerable body of poetry, often anecdotal, that visually resembles poetry but lacks the internal poetics, rather like a cheap works in a Rolex case. Heart Turned Back stands in opposition to this popular vogue, which is often lazy nostalgia dolled up in modernist duds. Rogers represents a kind of synthesis of all we’ve inherited from our poetic forebears. Sometimes this aspect of her work reminds me of the difference, say, between Hun and Arab conquests. The Huns destroyed to make sure the conquered understood their predicament; the Arabs refrained from destroying, having asked themselves if it made sense to destroy what they had acquired. What is experimental in Rogers’ work is her emotional intelligence, the lengths to which she is willing to go to bring home recognitions. In this she recalls the Nobelist Doris Lessing, who was willing to write about hearing people think and witnessing the familiar loom up strange.